They're the headsets that look like regular glasses but have a small computer on the side to speak to and access the Internet. If that's not ringing a bell, it could be because Google Glass fizzled out and was discontinued in the consumer market. But now, it's getting a second life in the manufacturing industry. One of the pioneers of this technology is a company based in suburban Atlanta. AGCO has factories all over the world where it makes large tractors, chemical sprayers and other farm equipment. At one of AGCO's factories, Heather Erickson is putting together a tractor engine before it goes on to the assembly line. She's wearing a red-and-black uniform over her blue jeans at a facility in Jackson, Minn. And she's wearing something else: Google Glass on her head. "It took a little getting used to. But once I got used to it, it's just been awesome," Erickson says. Google Glass tells her what to do should she forget, for example, which part goes where. "I don't have to leave my area to go look at the computer every time I need to look up something," she says. With Google Glass, she scans the serial number on the part she's working on. This brings up manuals, photos or videos she may need. She can tap the side of headset or say "OK Glass" and use voice commands to leave notes for the next shift worker. The headsets are being used in other industries as well. Companies working in the health care, entertainment and energy industries are listed as some of the Google Glass certified partners. And autistic children are using the technology to recognize emotions. It was always my assumption that Google Glass was going to go into business for enterprises instead of mass consumer consumption. Peggy Gullick, business process improvement director with AGCO, says the addition of Google Glass has been "a total game changer." Quality checks are now 20 percent faster, she says, and it's also helpful for on-the-job training of new employees. Before this, workers used tablets. "We had a lot of tablets on our floor, and the tablets were being broken just by being dropped. And tractors are very tall machines when you're climbing on and off," Gullick says. "So we were looking for a solution that offered them more information in a more timely manner." AGCO has about 100 employees using the custom Google Glass, which is attached to them and harder to lose. Each costs about $2,000. Tiffany Tsai, who writes about technology, says it's one of a growing number of companies — including General Electric and Boeing — testing it out. "It was always my assumption that Google Glass was going to go into business for enterprises instead of mass consumer consumption," she says. 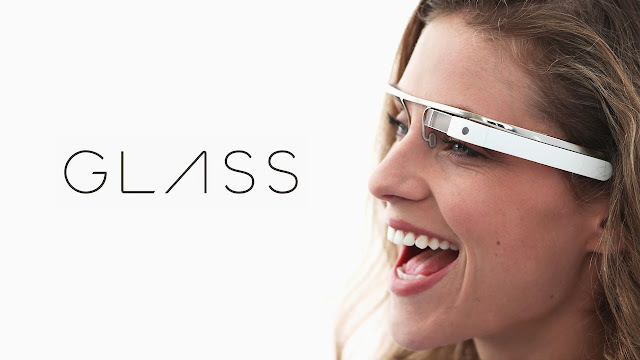 She was one of the early users of Google Glass when it came out in 2013. Two years later, it was discontinued for some consumers because people were concerned about privacy and security. And there were concerns that the headset could be distracting to drivers or that it wasn't made with all people in mind. Tsai says another reason for it being discontinued was its challenging of social norms: With Google Glass, it may look like you're listening to the person in front of you, but you could actually be watching a movie or looking up sports stats. You could be in a different world. "On Google Glass, [another person] has no idea what's happening, does not see anything that the user is looking at or analyzing," Tsai says. "And that creates this disconnect between people, and I think that that's highly frowned upon right now, especially with older generations." Millennials may be more open to it in the future, but Google Glass still has a long way to go until it's considered more socially acceptable, she says. But at AGCO's factories, it's not only accepted; it's desired. Gullick says the company plans to double the number in use by the end of the year.